When it comes to choosing the perfect lighting for an entryway, start by considering the scale of the entryway along with any furniture, artwork or mirrors that you might want to highlight. Select fixtures that complement the architecture and design of your home while casting the right glow. You won’t find a strict set of rules that tell you exactly what type of fixture to use in every situation, but here are some entryway lighting ideas to get you thinking about your options. 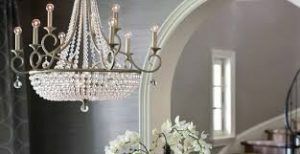 Chandeliers add a bold, glamorous look to your entryway, and they come in a variety of styles including elegant crystal chandeliers, colonial candle styles or sleek drums and cage chandeliers. 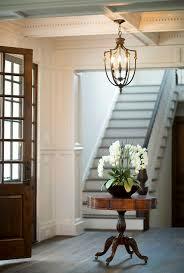 Choose a fixture that’s proportional to the space of the entryway. For example, if your entryway has 75 square feet of space or more, look for a chandelier with a diameter of at least 12″ to 18″. 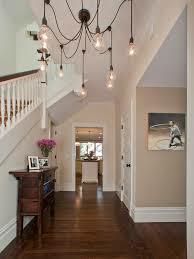 Smaller entryways look better with smaller chandeliers unless you want the fixture to serve as a focal point. Definitely put sconces in the entryway if you have the room. And, a chandelier, but with a dimmer. The reason I say this is that yes, you need lots of light in your entryway as that’s usually how you walk in the home (unless you have a side door, which people tend to favor more than the entry door, when they have one). 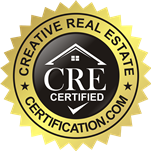 However, when you have parties, sometimes its better to “set the mood” for the dinner, or holiday party, etc. Dim the chandelier a little bit and turn on the sconces. Together, they’ll provide warm lighting. Definitely agree. You do get two separate vibes when you walk in to a persons home for a party, depending on the lighting when you first walk in. Didn’t even think of this until now. However, you should put non-LED bulbs in the sconces and chandeliers if you’re going to go for the “warmer” look. LED lights are great, I don’t mean to knock them down, as they are more efficient in every way than regular bulbs. However, you just aren’t going to get that “warmer” feel with LED bulbs.